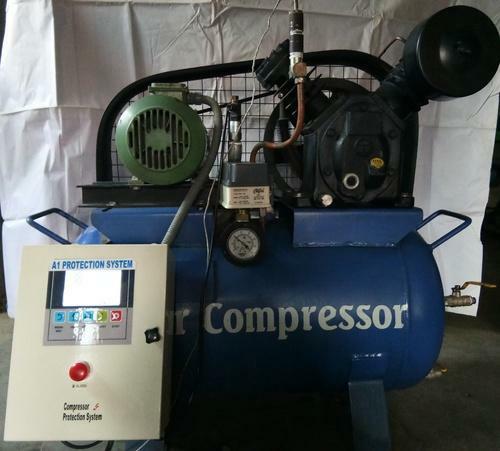 Pioneers in the industry, we offer motor protecting system, pump protection system and compressor protecting system from India. Application All types of Machines run By Electric Motor, Industrial / Commercial use. 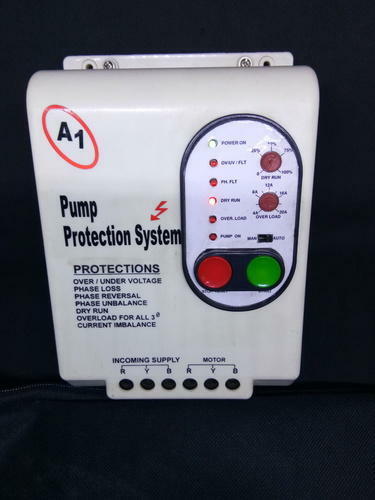 A1 offers state of art , ELECTRIC MOTOR complete protection system. 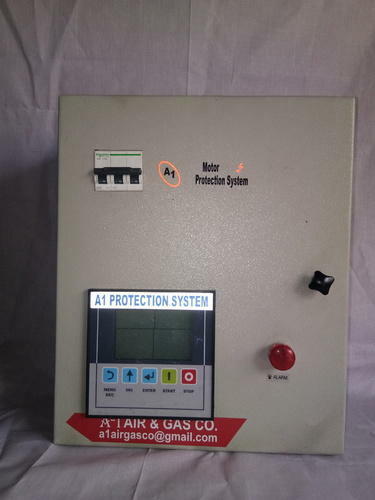 It consist of advanced designed PLC based Control system with unique Built in Soft starter advantage. Application: All types of Machines run By Electric Motor, Industrial / Commercial use. Sudden change (shoot up /drop in) Current. [High or Low Value]. Application: Agriculture, Residential & Commercial Buildings, Industry, laboratories, Pump station, Municipalities, Fire system, Hotels, Park, resort, College, Hostel, Mall etc. Note: 1.Pls. mount with proper back support on Sturdy parallel smooth wooden / Metal Sheet, Ensures No loose contact. Control system with unique Built in Soft starter advantage. Twin Lobe, 1/2/3 stage Compressors, Marine, Scroll, Industrial / Commercial use.